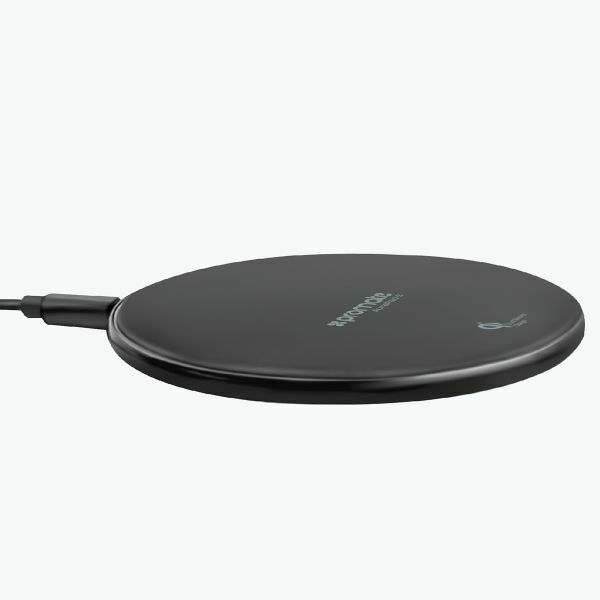 Simplify your space with this Wireless Charging Pad, “AuraPad-3”. This charger uses transmitting coils to deliver charge to your phone wirelessly. No need to plug in when it’s time to power up, just lay your phone or other Qi-enabled device onto the charging pad. When the LED indicator lights up, your device is charging optimally. The cable included with this pad - the perfect balance between utility and elegance. This cable is not so long that it will get in the way or trip you up, but it's long enough that you can set the pad down anywhere. Featuring overcharging and over temperature protection, auto standby when fully charged to protect the charger and devices from being damaged. An integrated smart chip inside the AuraPad-3 protects the wireless charging pad from over-heating, over-current and short-circuit. Inconspicuous and easy to use, provides an effective means of charging my S8 without fumbling with cords. While it is easy to tell that charging has started, the cyan light confirms a charge is taking place and It is very stable.